Coming up to Calstock viaduct at almost high tide. It was such a lovely evening that we ended up going upriver a bit further than intended. 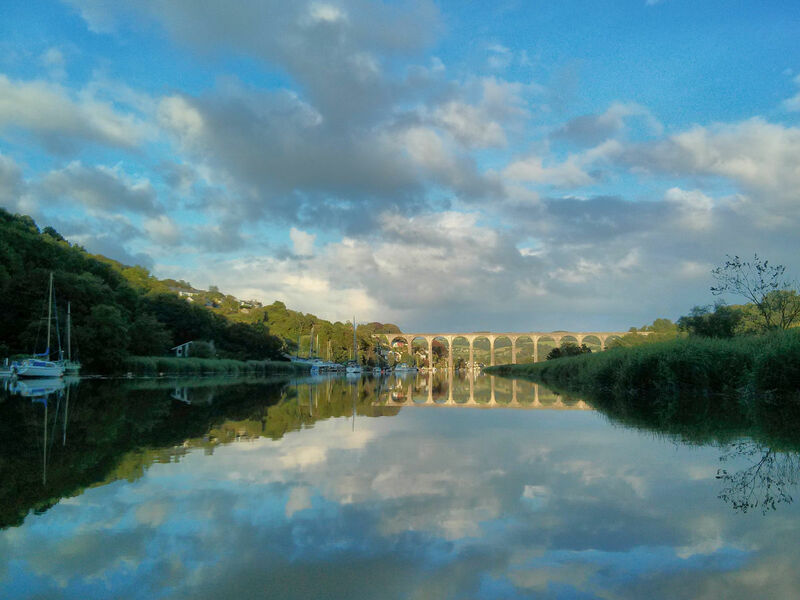 There were huge clouds of swallows swirling over the river when we were past Calstock, just as the sun was going down. We turned with the tide, at 8:40pm, and so as we were about an hour upstream (it's not a very fast canoe, and we aren't all that practiced with it yet!) it was a bit dark by the time we got back to the quay. Possibly, getting the canoe back on top of the car would have been easier in daylight, and so would our first-ever landing! But we managed it in the end without falling in, and with no obvious bits having got knocked off either car or canoe, so in the end it was all right. Breathtaking! So jealous of you. Here's a toast to many lovely hours in the canoe and lots of photos to share! Thank you! Quite excited about exploring all the rivers! Photo number 2 is a masterpiece. Thank you! The little phone camera does manage quite a nice job on landscapes with the right light. It seems to like canoeing! Wonderful photos. The water looks so calm. Glad you liked them! It was nearly high tide (a long way inland too) and very still - lovely reflection weather! What a great way to spend the evening. Your photos are super atmospheric as usual. That looks like brilliant fun! Very jealous! :-) Thank you, I'd really like that, especially if there are more opportunities for that yummy ice cream too! I like both photos, but I particularly like the way the first one is kaleidoscopy and Rorschachy. 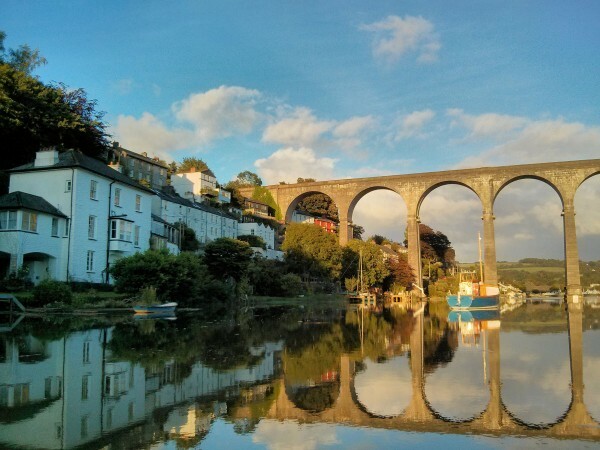 It would have been more peaceful if Calstock had not been having a Biker Festival that evening, but it's surprising how the steep hills cut out the sound of the music, we could really only hear it when we were right next to it. 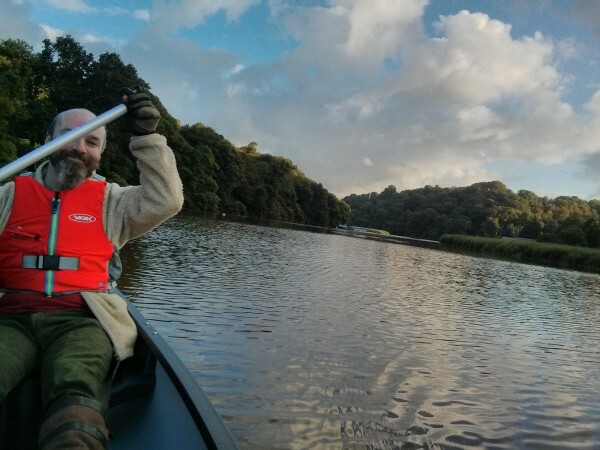 Great photos and good to see Pp has got his canoe.